We also have a counter top division, we manufacture countertops out of plastic laminate, wood and dupont corian, which is a solid surface material and dupont zodiaq (an engineered stone material). 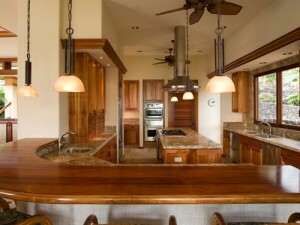 We take care of the countertop construction and installation. Replacement countertops are also available. Karri Hogan is our Corian/Zodiaq specialist. She is a National Kitchen and Bathroom Certified Kitchen Designer.